Step into Publico Ristorante at The Quayside, sit yourself down on one of the lounge sofas with palm tree upholstery and you will be in the mood of a vacation. 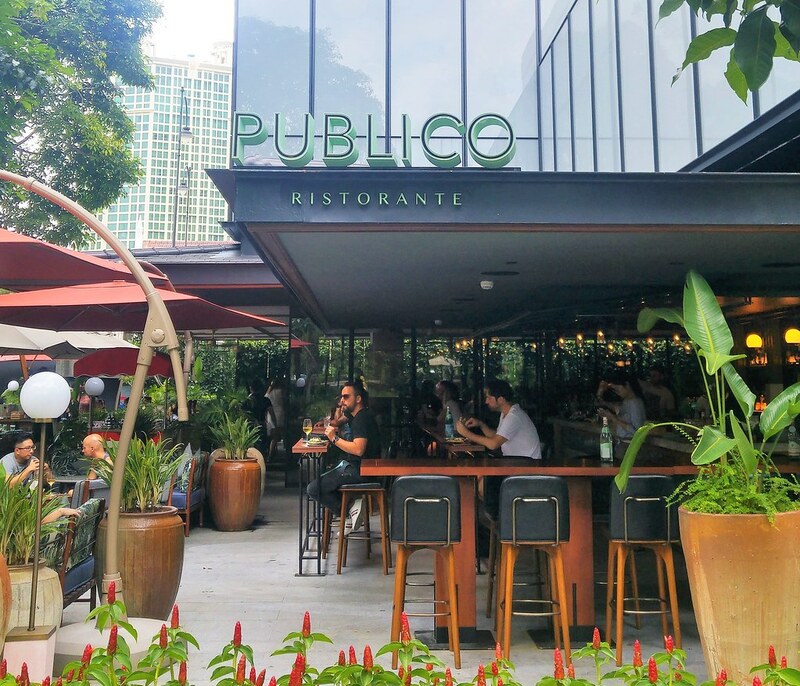 From 11 am to 4pm every Sunday, Capri Sundays at Publico Ristorante allows you to do just that, serving up contemporary Italian dishes that exude Mediterranean vibes, coupled with rejuvenating cocktails. The design of the space imbues with a sense of upbeat casualness - bold geometric granite floors from Italy against furnishing with cool overtones, warmed with wood cladded columns. The al fresco area overlooking the riverside is ever enticing but the indoor dining proves to be just as chill, with the greens from concrete planters. Open up your senses with Sbagliato ($13), a cocktail born by mistake, hence the name which means 'mistaken' in Italian. Apparently, a bartender grabbed sparkling wine instead of gin as he was making this cocktail. Other refreshing cocktails are available, such as the all-time Italian classic, Aperol Spritz. 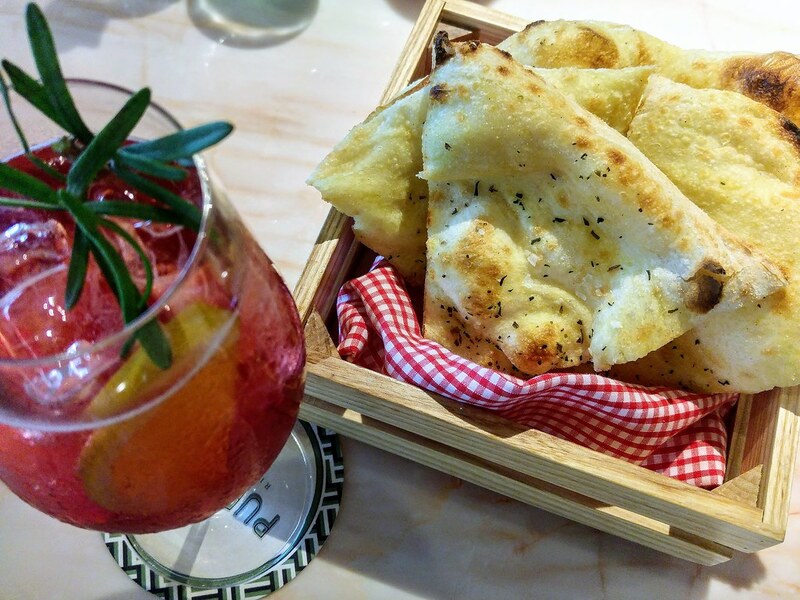 If you drop by on weekdays between 4-7pm for its Spritz sessions, each will cost $12, and served with complimentary Signature White Pizza. It's always interesting to see how a restaurant can get creative with eggs. 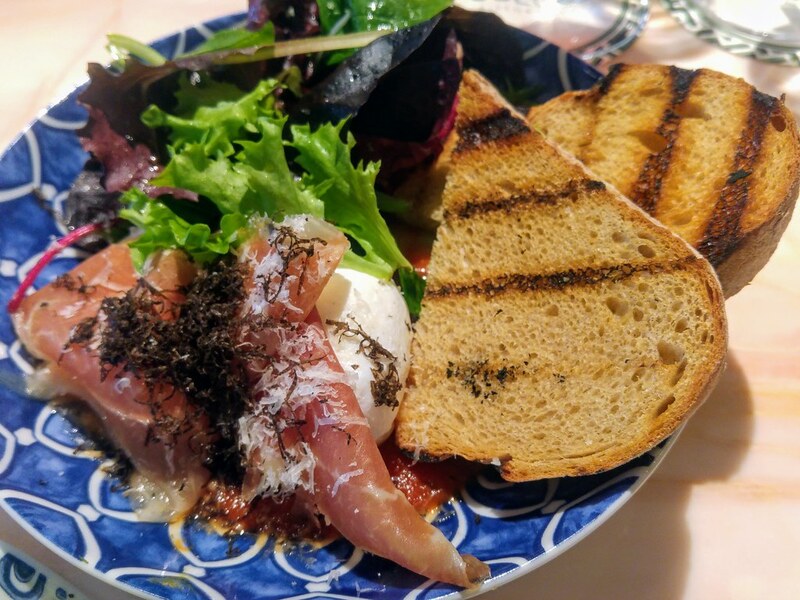 Out of the 4 'eggs of choice' under Eggs & Toast, we had Slow Cooked ($16) – 2 free range eggs, sourdough bread, Parma ham, Castelmagno cheese. Marinara sauce buttered the plate which provides an Italian touch and flavour to the otherwise common breakfast ingredients, like how you would get from 'pimp your breakfast', which each element taking a corner of the plate. 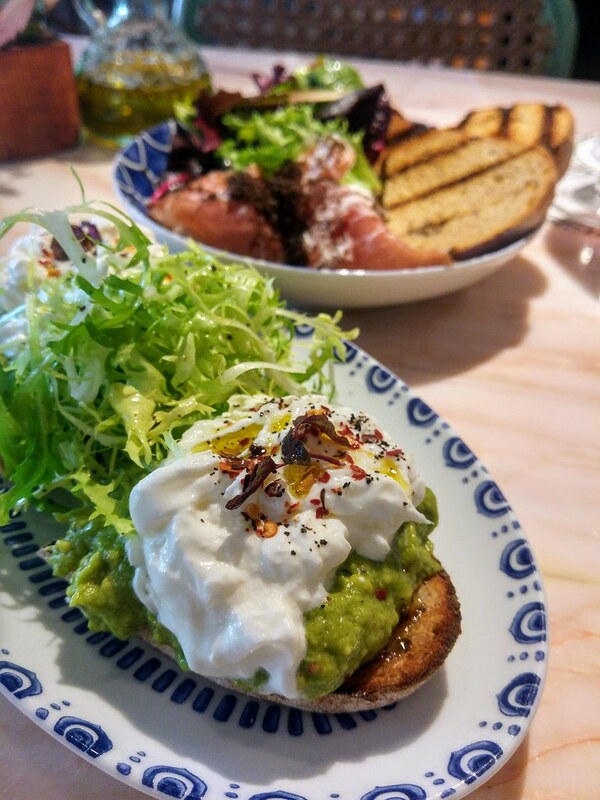 Just when you think it's another Avocado on Toast ($21), Publico up the ante by topping it with a dollop of pillowy burrata cheese - an Italian twist to this new-age brunch item, a fresh take on a classic antipasti. The avocado is given a bit of a spice too, which adds an edge to the flavour. 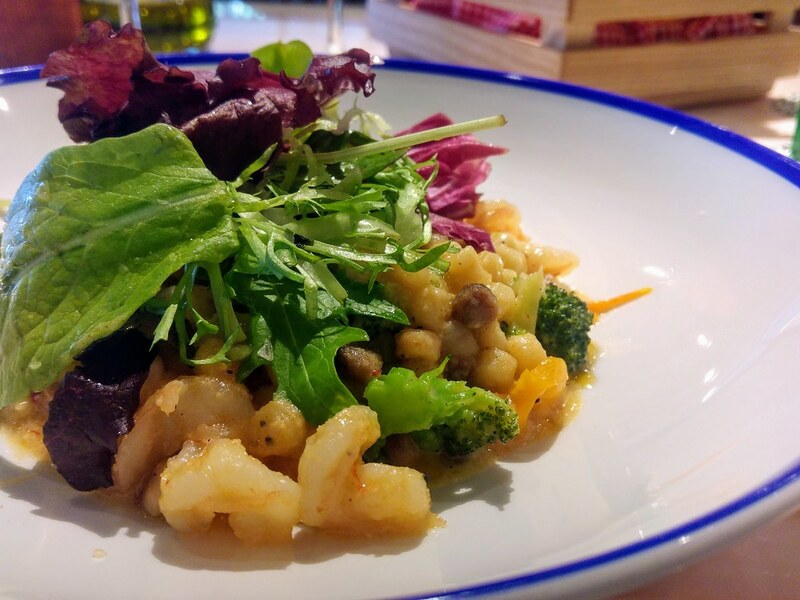 Moving on to Primi, which showcases pasta dishes, the varied textures of the Fregola Sarda ($26) makes it extremely likable. The tiny rolled balls of semolina pasta are tossed in garlic cream with succulent prawns, crunchy broccoli and soft juicy cherry tomatoes. The juice released from the tomatoes sweetens the sauce with a big of tang and the lemon zest added brightens the overall flavour of this dish. 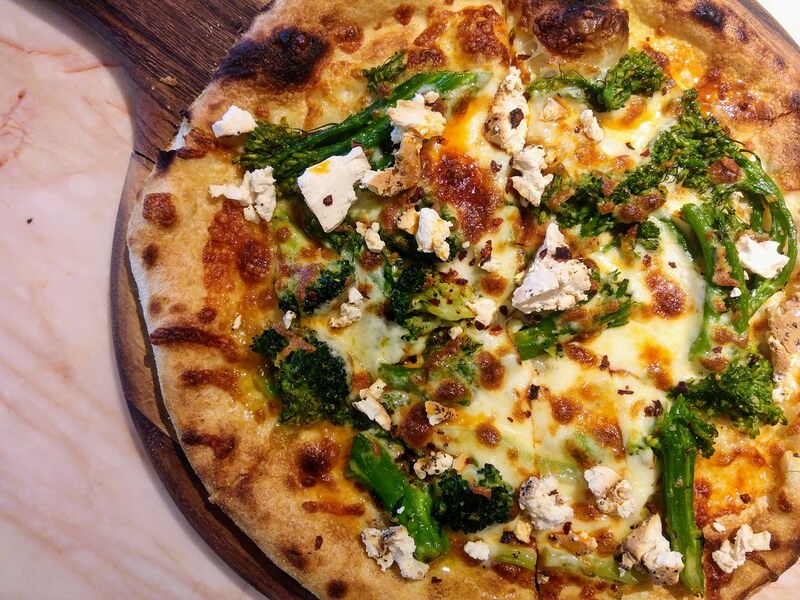 I never thought broccolini can actually appear on pizza till I tasted this Broccolini & Chilli Oil Pizza ($21). Texture wise, there is a lot of crunch to it and I like how the savoury mozzarella brings our the subtle sweetness of the fresh ricotta. 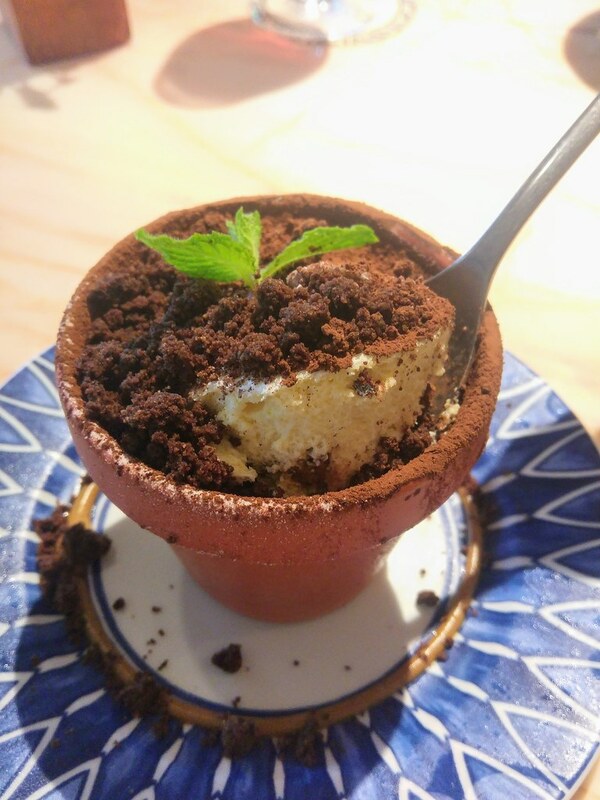 Sweeten your weekend with a pot of its Tiramisu ($16). Not too rich and I really like how the sponge fingers are moist with espresso. 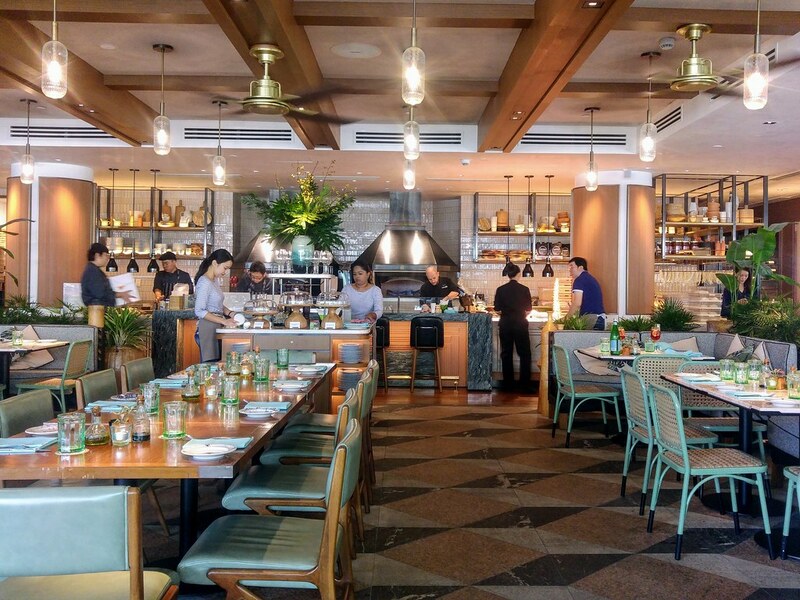 What I really appreciate about Publico Ristorante is its spaciousness, which is much needed for good conversations but often lacking at many restaurants and bistros.